Water brings movement, serenity, calm and has long been considered an essential element of any beautiful garden. Water features can be elaborate and a main aspect of your garden or can be more subtle with just a small presence. 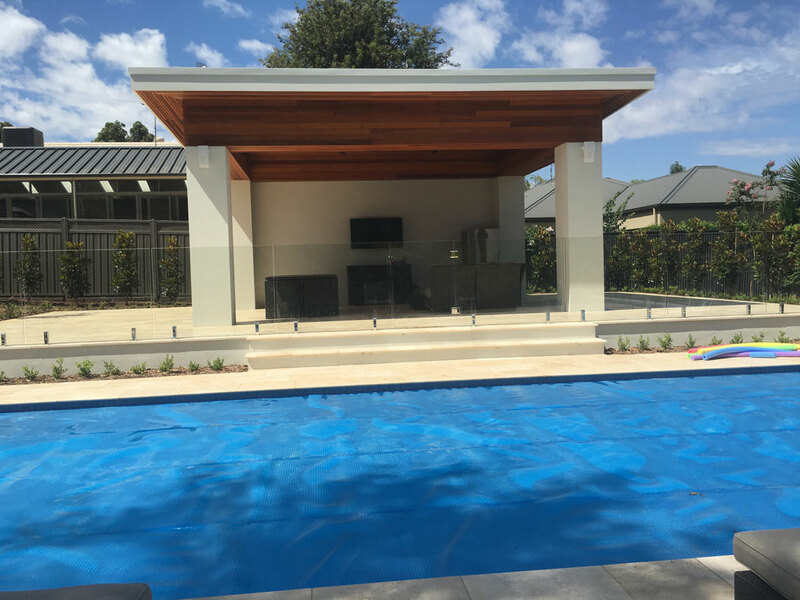 The Australian climate lends itself to an outdoor lifestyle and therefore swimming pools in backyards is part of our culture. 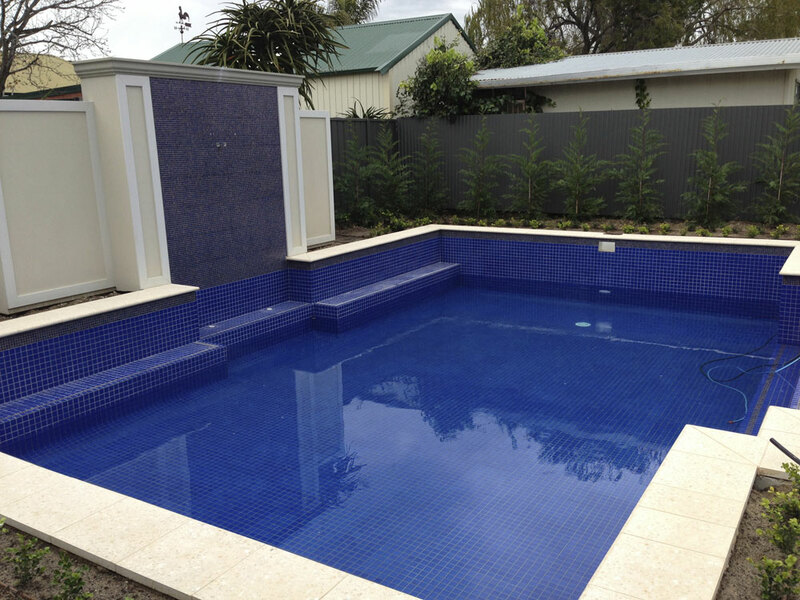 There are more choices for pools today than ever before and this is good news given the Australian climate also lends itself to droughts, particularly South Australia, so these choices allow you to enjoy the fantastic lifestyle that comes with having a pool in your garden, along with being responsible with the use of water. 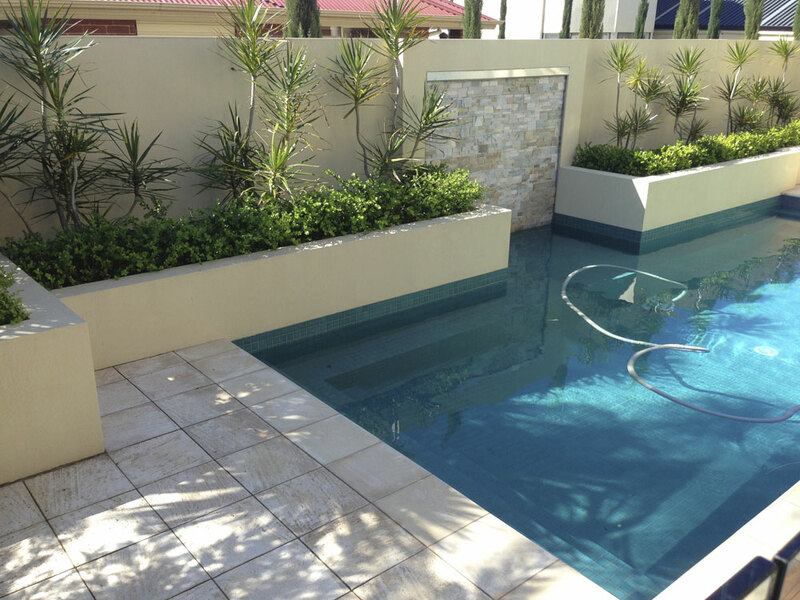 Pool fencing is required by law. We supply and install traditional tubular aluminium fencing and contemporary glass fencing. Incorporating water into a garden provides many benefits. The movement and noise of water is both aesthetically pleasing and environmentally supportive. Water features have been incorporated into gardens for centuries. 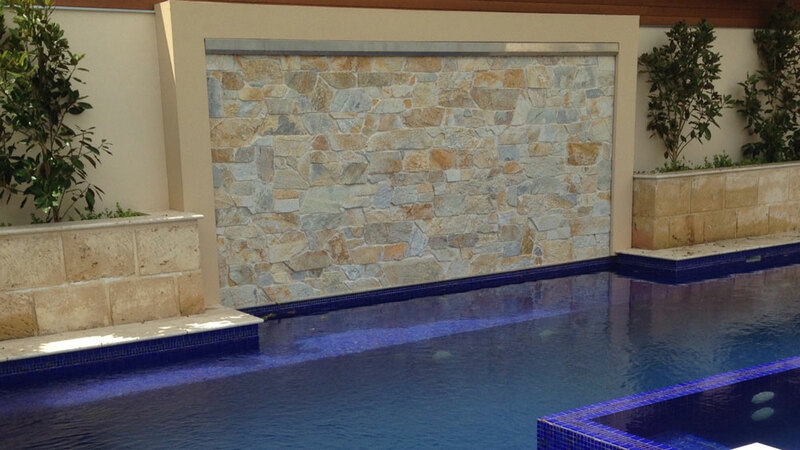 We have built many water features from stone, rock and other natural materials. 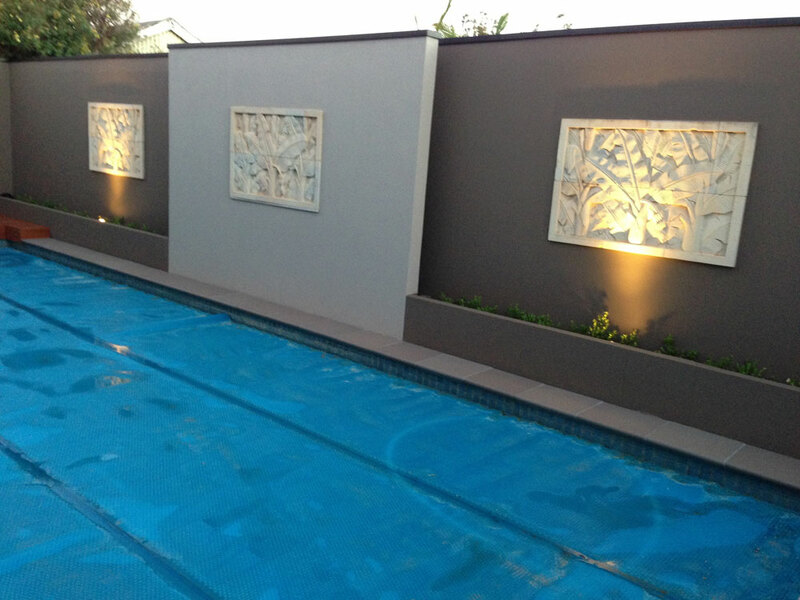 Water features can also be precast or custom made. 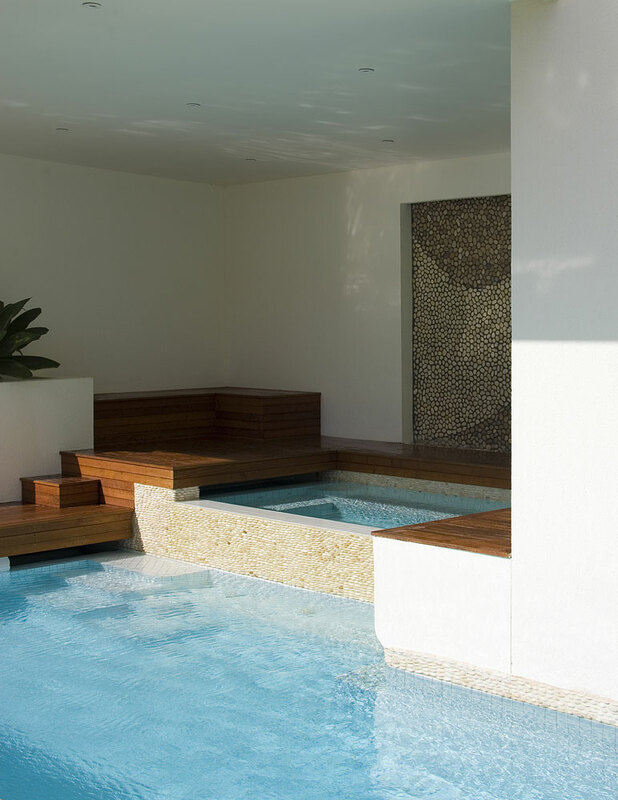 From a stream, pond, bubbling fountain, even a spa or swimming pool can incorporate water into a garden and can be enhanced even further with lighting for night time enjoyment. There are many reasons for properly irrigating your garden. There are also many different types of irrigation systems. Your garden, lawns and plants are an investment and need to be cared for to ensure they thrive in the environment. An irrigation system is the best means for this. 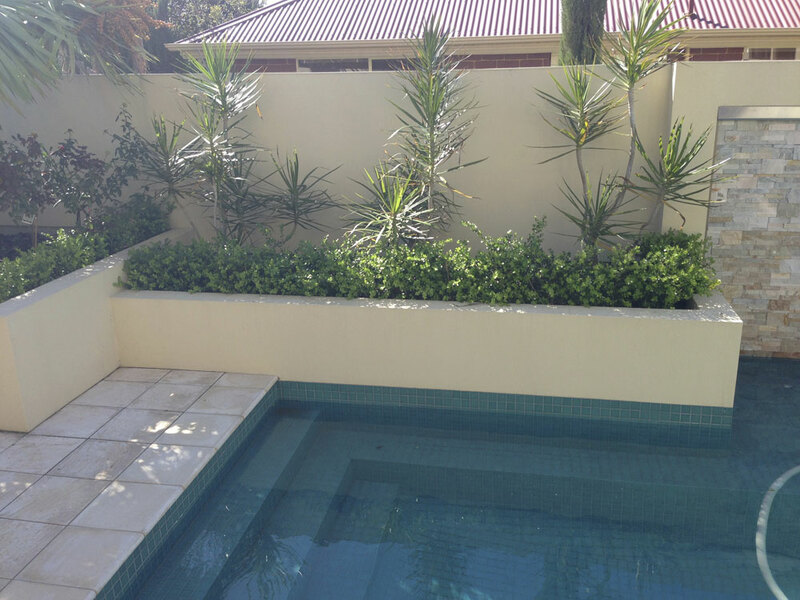 There are standards and best practice along with local council guidelines regarding the use of water in a garden. These change from time to time and it is important to always ensure the use of water is responsible and compliant. We stay abreast of these regulations and will recommend an irrigation system that complies, is best for the type of garden you have and is budget friendly.